There are a bunch of great Muppet Christmas specials, but Emmet Otter’s Jug-Band Christmas is my favorite, too. Paul Williams’ songs are just terrific. (“Riverbottom Nightmare Band!”) Jim Henson, the Muppets crew, and Paul Williams were all at the very peak of their creativity. Here’s hoping that they release The Great Santa Claus Switch on DVD and restore Muppet Family Christmas to the original HBO-aired version. I’ll pick the decade between 1962 and 1971 (Pretty sneaky, eh?). This way I can start with Mr. Magoo’s Christmas Carol, include many of my favorite Rankin-Bass classics (Rudolph, Frosty, Little Drummer Boy, Santa Claus is Coming to Town—but not, sadly, The Year without a Santa Claus, The First Christmas, Jack Frost, etc. ), add Albert Finney in Leslie Bricusse’s “Scrooge” (1970), “Christmas Flintstone” from 1965, The Littlest Angel from 1969, Richard Williams’ beautiful “Christmas Carol” from 1971, and Hanna Barbera’s “A Christmas Story,” also from 1971, and the Walton’s “The Homecoming” from 1971. And Charlie Brown and the Grinch. This is the golden age of Christmas entertainment in my book, although I’d gladly include most of the 70’s. Appetizer: API’s “The Twelve Gifts,” an Australian animated special by API that aired in syndication in the US in the 1970’s. I loved this one as a kid and then forgot about it for years until I found it on VHS. Dessert: The Lollipop Dragon: The Great Christmas Race. Answers the question: What if “Yellow Submarine” was produced in the 1980’s, for television, and turned into a Christmas special? This one has a special place in my heart. I used to watch it with my kids repeatedly. Why didn’t the Beatles have a Christmas special? Magical Mystery Tour aired on boxing day, but it didn’t have any Christmas songs. They made Christmas albums every year for the fan club. John later wrote a popular Christmas song. Paul wrote a popular Christmas song. Imagine something like a variety show, with Beatles performing Christmas songs, a Yellow-Submarine style animated segment for a new Beatles song (like they used to do on Sonny and Cher) and a few guest performances by Harry Nilsson, Cilla Black, Mary Hopkin, and Badfinger. Either “Meet John Doe” or “It’s a Wonderful Life”. 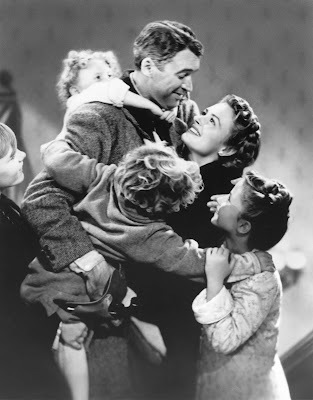 I’ll go with “It’s a Wonderful Life” because of its massive influence over the last 40 years. They are both genuinely great films. A Christmas themed episode of "Police Squad"? I'd pay to see that! They could just steal the whole plot from the "Yellow Dump Truck" episode of Adam 12, and push it over the edge. It would have been hilarious. 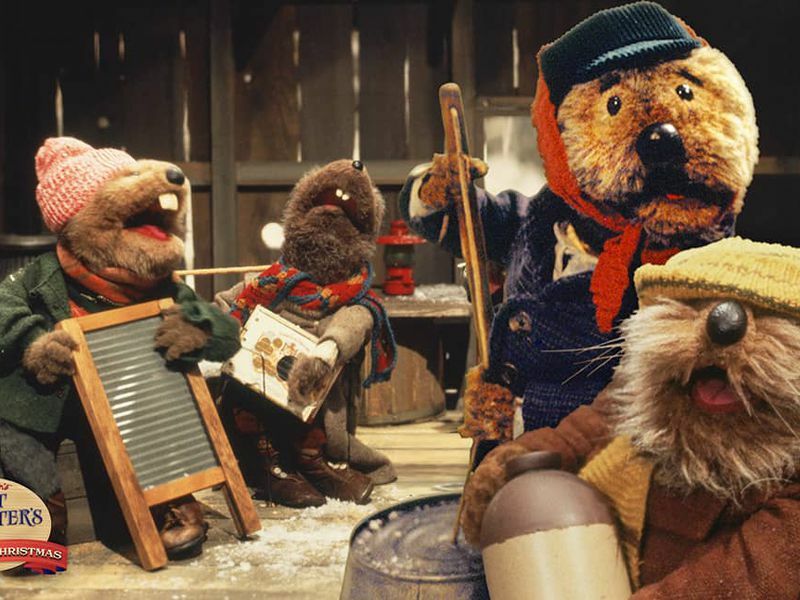 Thanks for all the great references, Kevin, an for singling out Paul Williams’ songs from Emmett Otter. And wow I would love it if the Beatles had produced a Christmas special in 1964 or '65--or ever.